Accessories: decorative 180° lampshield with arabesque or square pattern. Other patterns available on request. 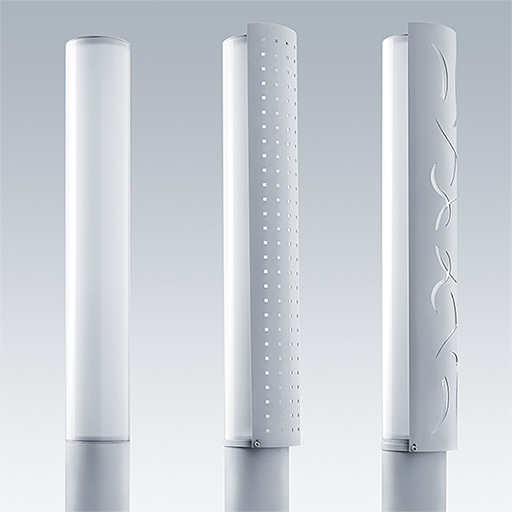 Top/Column/Lampshield: powder coated textured silver grey 150 (close to RAL 9006) Other RAL on request. 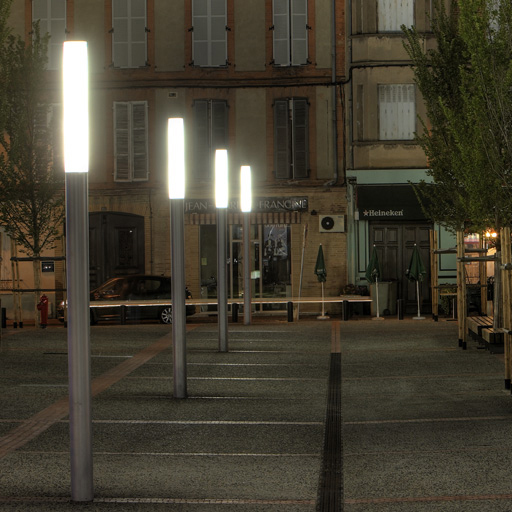 IP65 decorative lighting column for 2 x 54W T16 lamps with powder coated aluminium column.